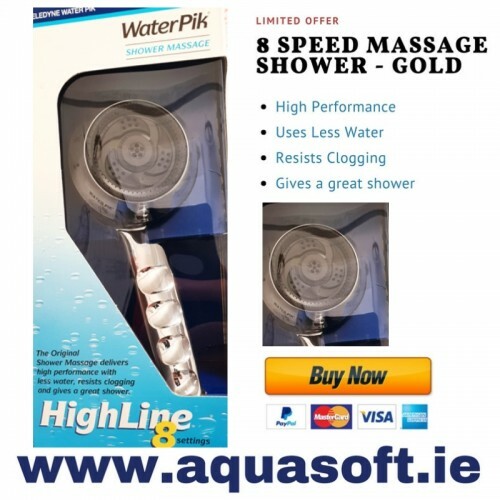 This Chrome hand held WaterPix® massage shower head offers 8 pulsating settings delivering high performance with less water, resists clogging and gives a great shower. Minimum water pressure 1.3 bar. Can be connected to all standard shower hoses.